The tournament grind is tough. You can go months without a solid score, all the while watching other players succeed around you. Tournaments are nonetheless a higher-value format because of how soft the fields usually are. So, if you don’t mind the variance, or if you enjoy the format more than cash games, then by all means play tournaments. To improve your chances of tournament success, we’ve prepared 8 must-know tournament tips to share with you today. Instead of focusing on in-depth strategy, we’re going to discuss certain key fundamentals and mistakes to avoid. With these basics on lock, you’ll be on your way to crushing tournaments. Multi-table tournaments are a marathon. You’ll play for hours before you approach the money, and at the final table the starting stack size will often be equivalent to less than 1 big blind. Consequently, it’s important to think about the value of your starting stack as distinct from the ‘real’ money cost of your entry. This should ‘free up’ your play early on, so to speak, so that your decisions aren’t influenced by the idea that the value of your chips is somehow tied to your tournament entry fee. It isn’t until the later stages of a tournament that ICM comes into play, at which time you can start thinking about the monetary value of your stack and how that might affect your strategy. Note: Many players make the mistake of playing all flush draws the same way. DON’T be one of those players. Get our free guide 20 Rules for Playing Flush Draws now by entering your name and email below. value bets in spots your opponents do not expect! This tip is closely related to the previous one, but is more applicable later on in tournaments. The pay-out structure of a multi-table tournament almost always rewards those who finish in the top few spots, at the expense of those who just barely made it past the bubble. We should aim to maximize the number of times we finish in the final few, even if it comes at the cost of min-cashes. Pushing every possible edge, even the small ones, helps us build big stacks and set ourselves up for deep runs. In other words, the more profitable plays we make, the more often we’ll finish in a top position. Because tournament fields are often very weak, we should use an exploitative strategy when appropriate. For example, we can exploit tight players in the blinds by opening with a wider range, especially from late position. Or, to take another example, we can adjust our betting range to contain more value bets and fewer bluffs to exploit loose calling stations. However, it’s important to remember that exploitative play and exploitable play are two sides of the same coin. That is, we can’t adjust our playstyle in order to exploit our opponents without also opening ourselves up to being exploited. Most opponents will lack the ability to exploit you, but some will be savvy enough to adjust. For this reason, it’s important to protect yourself by rarely straying too far from sound poker strategy. Consider, for example, this hand, between Daniel “Jungleman” Cates and Phil Hellmuth at the King of the Hill tournament on Poker Night in America. Jungleman’s huge river fold getting six-to-one is a great example of mistaking a certain player’s capabilities, and letting that misconception get in the way of playing fundamentally sound poker. This next tip will be particularly helpful to those with a background in cash games. Tournament antes almost double the amount of dead money in the pot before pre-flop action begins, which means we should adjust how we play in two ways. First, we should defend our big blind—and sometimes our small blind—much more often. With antes in play, we’ll be getting great odds on a call versus standard 2–2.5x late position opens, which means we should be calling with a much wider range than we would in a cash game. We should also expand our re-steal range, particularly in the small blind, which is the position from which we should be 3-betting the most. Second, our improved pot odds to steal the blinds allow us to open wider from every position. 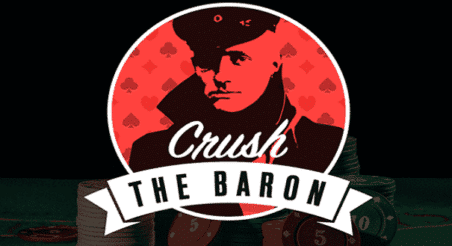 A standard open risks 2–2.5x big blinds to win the 2.4 big blinds (give or take) in the pot. If there are aggressive players to our left, we can readjust by tightening up our late position opening ranges; or, in the right circumstances, work in some 4-bet bluffs to punish them. Note: Want to learn how to win more hands (and money) with your flush draws? Learn the 20 Rules for Playing Flush Draws used by Doug Polk and Ryan Fee to separate themselves from the average poker player. Enter your email below to download the rules. New players often lament not knowing how to play post-flop with a short stack. There is a simple solution, though: don’t. With 10 big blinds or less, we should either fold or shove when facing an open with one exception: when we’re in the big blind (see: How to Combat Steals with a Tiny Stack). This shove/fold strategy can be applied to up to 15 big blinds. Even with a 20 big blind stack its often correct to respond to an open by shove, particularly versus a late-position opens. All proficient tournament players understand optimal shove/fold ranges. Luckily, this information is available online, for free, so you can always pull a chart up if your stack starts dwindling. Your shove/fold ranges may need to be modified under ICM pressure. For instance, you will need to play tighter when approaching the money bubble with a short stack (see: How Not to Blow It On the Money Bubble). ICM pressure is often applied post-flop by bigger stacks. An aggressive player with a big stack might put you to a decision for your tournament life just off the money bubble, or just before a significant pay-jump. In these spots it’s important not to let the pressure consume you, and to recognize when you simply must call down and let the chips go where they may. Just as you want to avoid succumbing to ICM pressure, you should use it against your opponents when you have a big stack. When approaching a significant pay-jump, you should open a wider range of hands to take advantage of short stacks who can’t profitably call with many hands. You should play more aggressively post-flop as well. This final tip isn’t a hard and fast rule, but it’s a good one to stick to. If you truly believe you have an edge over your opponents, then you should register when the tournament begins to maximize the amount of time you play against them. This is not to say that you should never late register for a tournament—in fact, there is often value in registering a tournament right before registration closes. Usually, though, it’s best to get in as many hands as possible against weak opponents. You will more often make better hands fold when bluffing, worse hands call when value betting, and put in the minimum when we are behind. Enter your name and email below to get the free flush draw guide. That’s all I’ve got for you today. Jump start your next tournament run by implementing the 8 tips we’ve discussed here. Be sure to take our tournament strategy quiz!